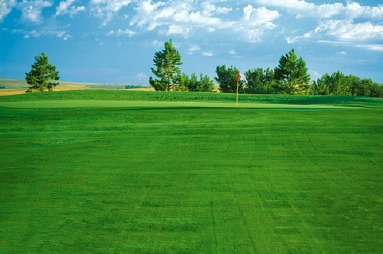 Description: This delightful course offers one of the most unique opening holes on the Lewis & Clark Golf Trail. You will open your round on the par-3 first hole with probably no more than a pitching wedge to a small green, which plays to 145 yards, but its about 100 feet below the teeing ground. The green lies next to Square Butte Creek, but the water shouldn't be a factor. The course offers other changes in elevation, including some blind shots to pesky greens. You should also be prepared to play your best wind control game.